Penguin Computing® Scyld Cloud WorkstationTM is a remote desktop solution designed to deliver real-time interactive 2D desktop GUIs and 3D visualization through a standard browser, without plugins. Our solution enables consolidation of engineering class workstations into a cloud environment that can be tightly coupled with an HPC environment. Traditional HPC systems require users to download large data files to on-premise workstations for post-processing, a time consuming process that makes it hard to create a predictable workflow. Penguin Computing’s remote visualization solutions offer significant time savings by moving pre- and post-processing to a workstation with direct access to a cluster’s data storage — eliminating the need to download large data files. Users can use the same GUI tools as on their local workstations, ensuring continued productivity. Users simply connect to the HPC environment from virtually any device running Firefox, Internet Explorer, Chrome or Safari. No plugins or application clients are necessary. Access is provided through HTTPS, requiring no additional ports through the firewall. This unique architecture saves bandwidth, improving image quality and ensuring near-universal accessibility for users. POD provides high-end workstation performance in an on-demand cloud environment. Users simply connect to the HPC environment from virtually any device running Firefox, Internet Explorer, Chrome or Safari. No plugins or application clients are necessary. Access is provided through HTTPS, requiring no additional ports through the firewall. This unique architecture saves bandwidth, improving image quality and ensuring near-universal accessibility for users. 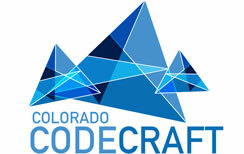 In partnership with Colorado Code Craft Ltd.